The IVOA have ~tri-monthly telecons and also meet during the course of major international meetings. The contact persons for the projects that participate in IVOA are listed here. 2005-04-13 Telecon n.a. NicholasWalton n.a. TM14 Telecon cancelled. It is clear that from time to time some members of the IVOA may, for various reasons, reduce their activity in VO projects and in their participation in the IVOA. Such decreases in activity may be temporary, and in such cases it is desirable to retain an association between such inactive members and the IVOA without the member having to reapply for IVOA membership once the member wishes to become active again. On the other hand, it is also cumbersome for the IVOA to retain membership status for members who have clearly lost their interest or ability to associate with the IVOA. Thus the following policy on Inactive Members is adopted. 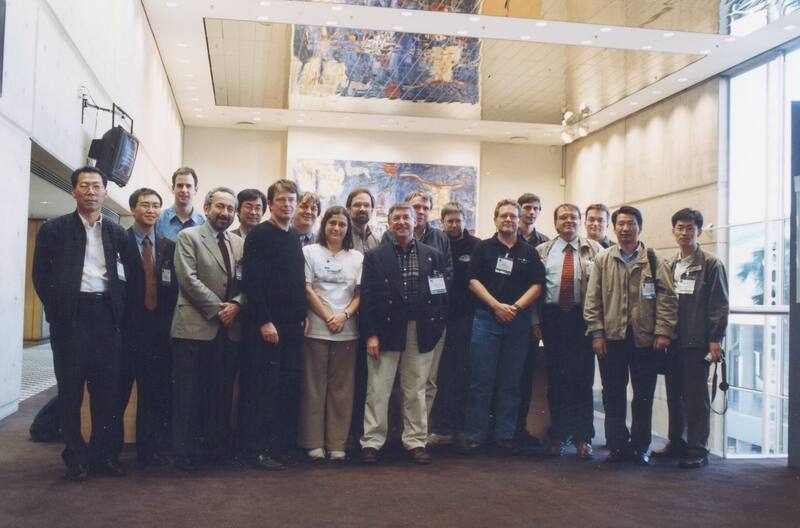 Any member who ceases all participation in IVOA activities, including attendance at Interop meetings, Working Group and Interest Group participation, or participation in any other special meetings or activities of the IVOA for a period of 12 months or more shall be considered an inactive member. If such inactivity is not accompanied by any communication between the member and the IVOA Chair, the Chair or designee of the Chair will attempt to contact the member in order to determine the member’s intentions. Such attempts will be repeated at reasonable intervals for a period of one year, and if no contact is made after that time the member will be dropped from the membership list of the IVOA. These time limits may be modified in exceptional cases at the discretion of the IVOA Exec. However, if contact is made with the inactive member, and that member expresses an intention to resume active membership within a reasonable period as determined by the Chair, then that member shall remain in inactive status within the IVOA. Similarly, if any member contacts the Chair in advance and advises of their need to move to inactive status with an intention to resume active membership in the near future, then that member will move to inactive status in the IVOA. A review of inactive members and their progress toward resumption of active status will be carried out at least annually by the IVOA Exec. There is a large dispersion in the scope of tasks undertaken by the IVOA Working Groups and Interest Groups. In some cases the scope is very broad, and/or the duration of the undertaking is very long. In other cases the work is more narrowly focused and may not require a great deal of effort or involve a long development time. Hence in some cases the workload of a WG/IG can be so large that it is advisable to share the responsibilities between a Chair and a Vice-Chair. Moreover, in some cases the development of a working group product may be sufficiently extended in time that a Chair or Vice-Chair might be appointed for more than one term in order to assure continuity for the project. In many other cases neither of these conditions will be the case. In general it is felt that a clear definition of leadership of the WG/IG is desirable, hence the ambiguity introduced by the use of Co-Chairs is generally to be avoided unless special condition arise. In addition, in general the Chair and Vice-Chair of a WG/IG should not be chosen from the same project to avoid both being simultaneously overburdened by project demands, with exceptions to this allowed as needed. Hence the policy on WG/IG Chairs and Vice-Chairs should retain sufficient flexibility so that the maximum efficiency of the WG/IG is retained. However, to avoid confusion or incorrect expectations on the part of all the WG/IG participants, the policy on these positions needs to be clearly defined. Chairs: Nominal term for all WG/IG Chairs and Vice-Chairs - 3 years Chairs are selected by IVOA Exec in consultation with others; nominations are invited across the IVOA. Reappointment – fully open after one term. Reappointment of the same person shall be for 1 year terms only. Vice-Chairs: Nominal Term – 1 to 3 years Selection by IVOA Exec on an “as needed” basis Reappointment – fully open after one term. Reappointment of the same person shall be for 1 year terms only. Co-Chairs: Normally not appointed. Special circumstances to be considered by the IVOA Exec. Appeals: Adjudicated by the IVOA Exec. A record of dates of service for members of the IVOA Executive, Working Groups, and Interest Groups is available on the IVOAHistoryPage.